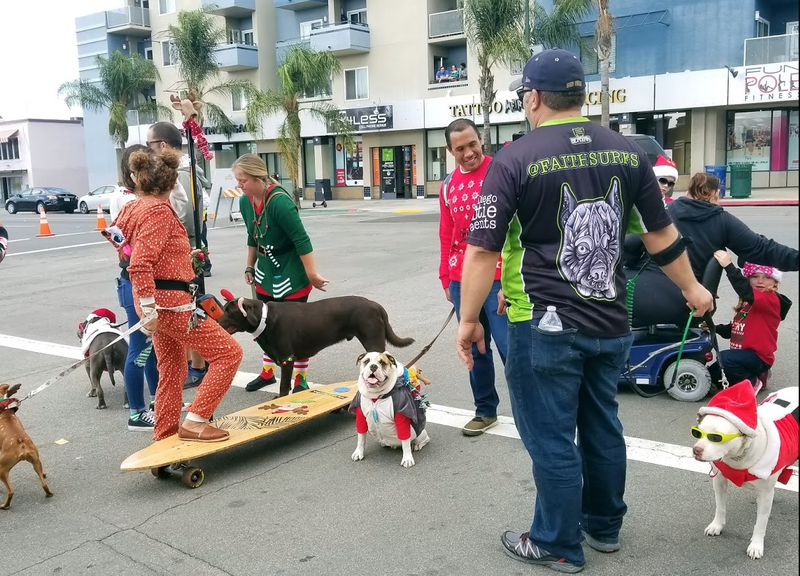 This annual neighborhood celebration has been community’s main event to launch holiday spirit since the parade’s inception in the 1930s. 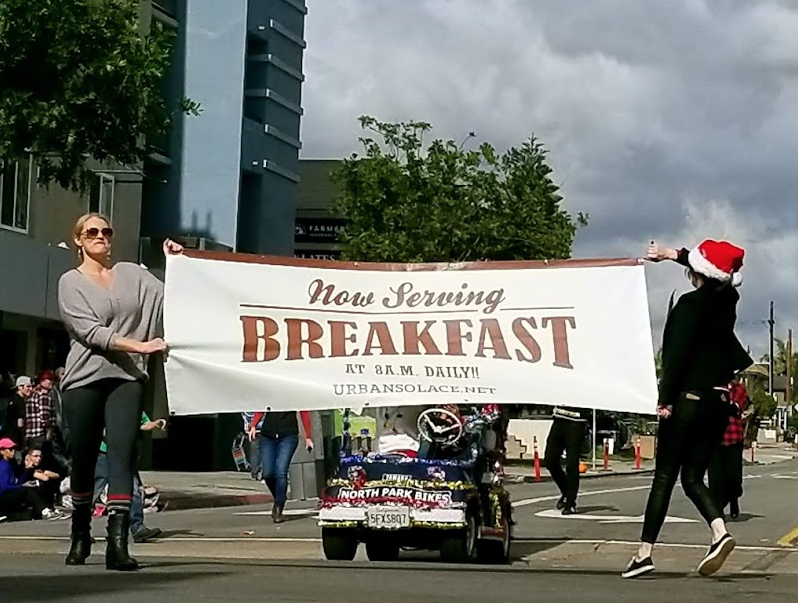 But the 2018 edition almost didn't happen. 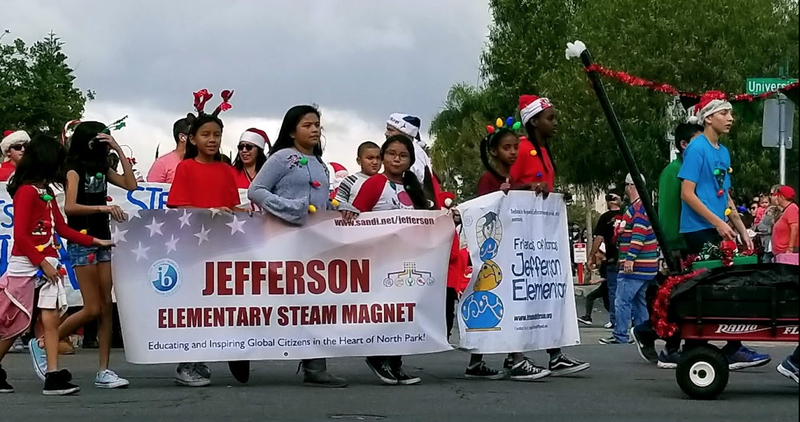 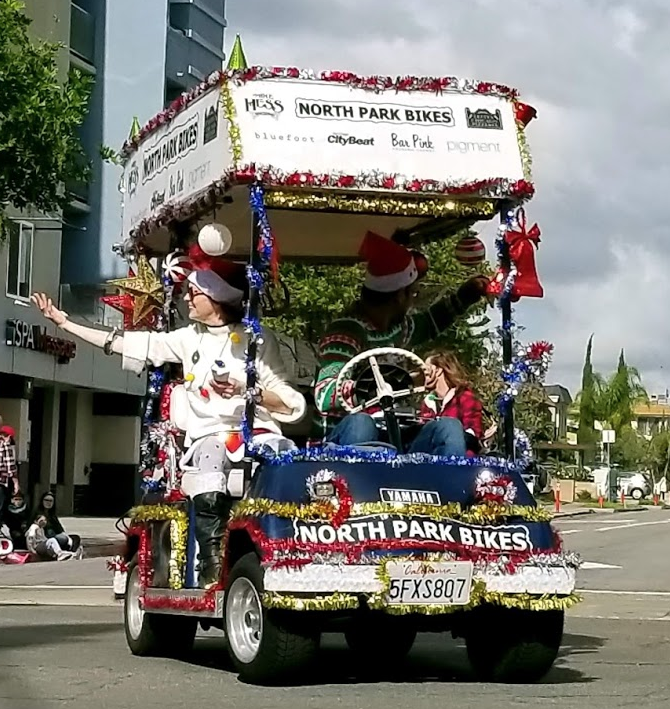 After 55 years, North Park’s annual holiday parade nearly came to an end, but thanks to a last minute move by community business leaders, the show went on as scheduled. 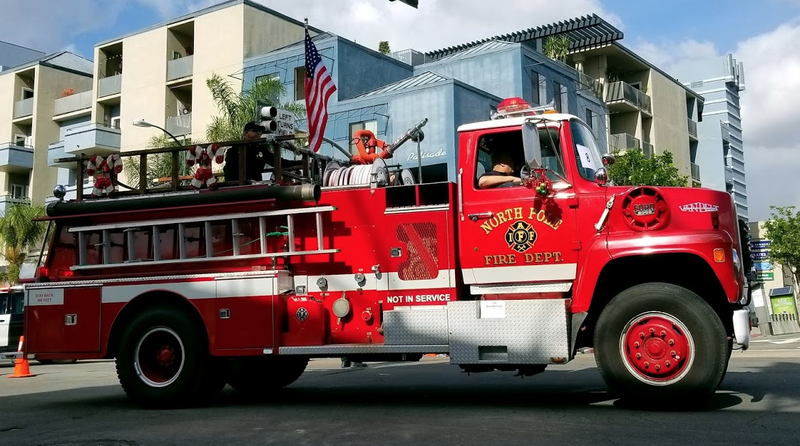 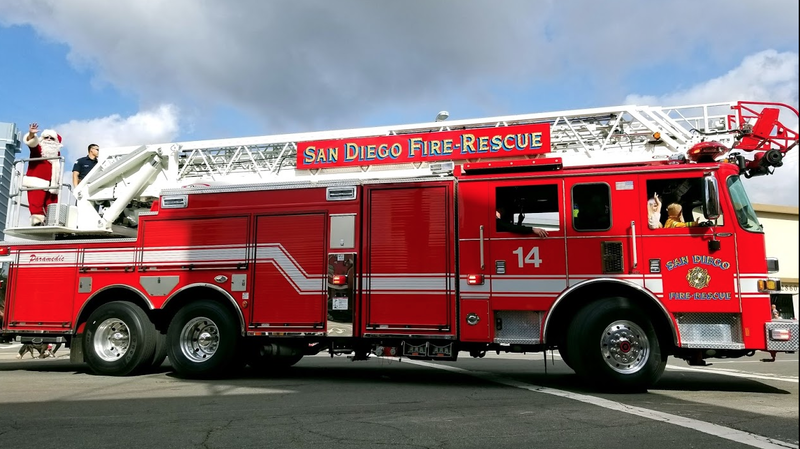 On Wednesday, Landsberg called an emergency meeting and the board agreed to take over the permit and the $10,000 it costs to run the parade. 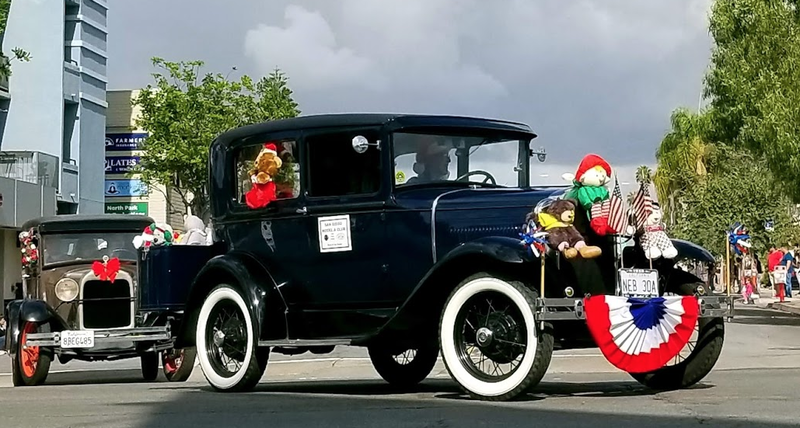 “We really want to get the word out there that it is on and we are pulling it together with a shoe string. 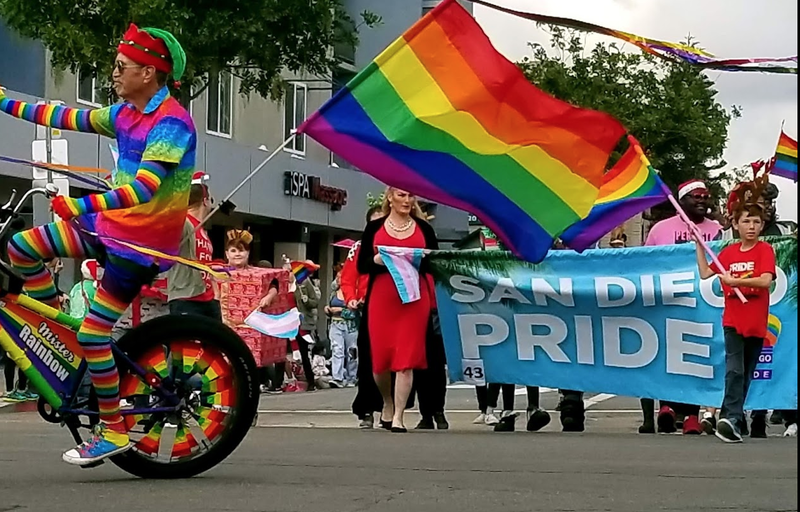 We have GoFundMe because we are on the hook for quite a few dollars to make this happen,” said Landsberg. 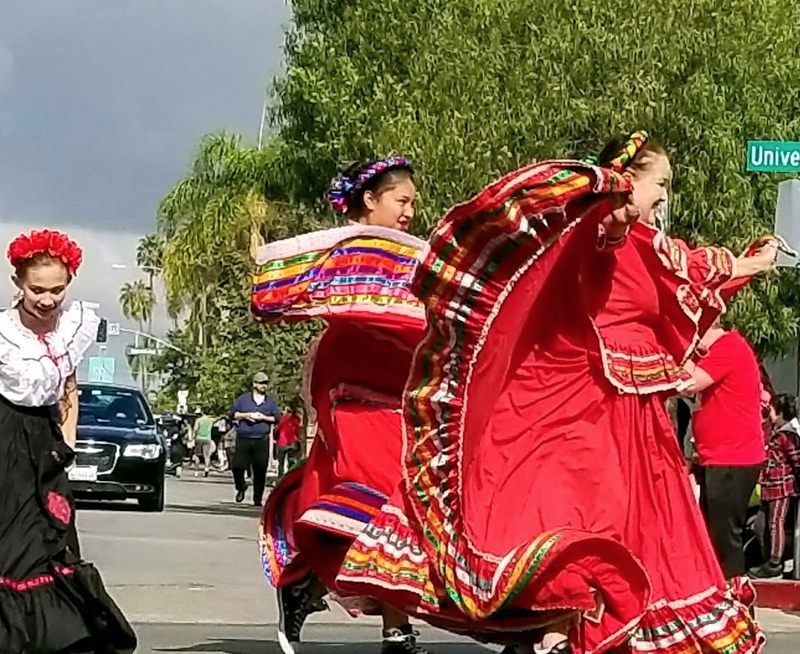 PillartoPost.org photo essay by Phyllis Shess. 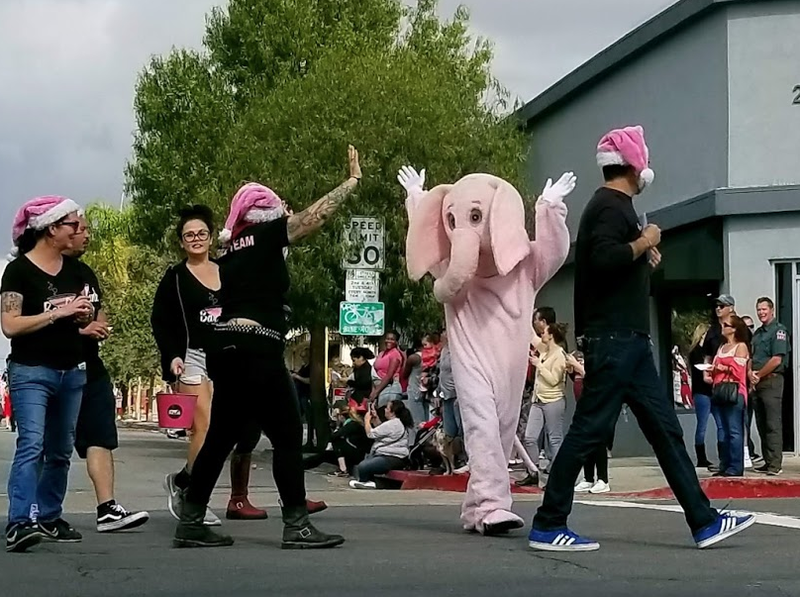 Photo captions at end of post. 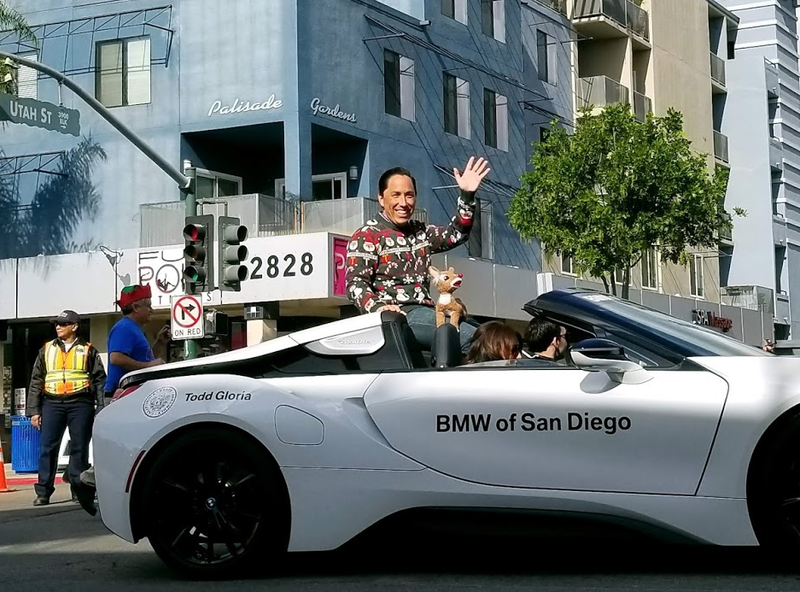 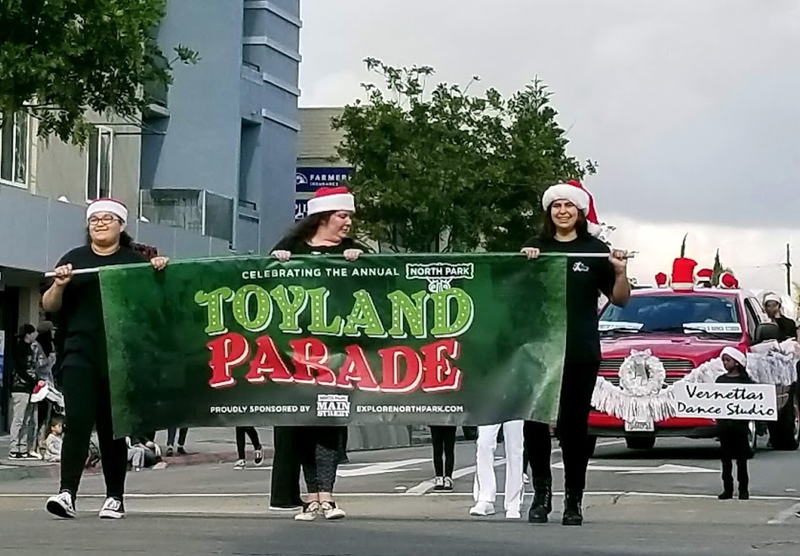 Right on schedule, the 55th edition of the North Park Toyland Parade launched the holiday season. 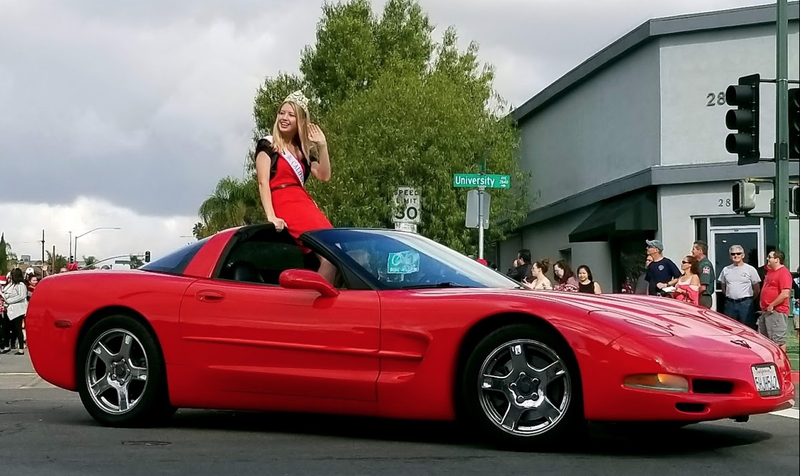 Of course, there were cool cars and beauty queens. 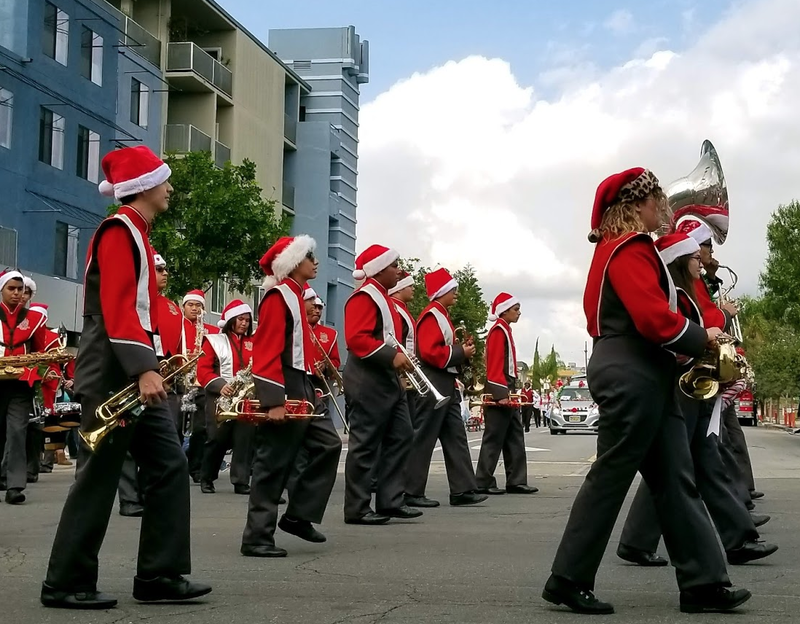 Parade started at Utah and University led by the Sweetwater Union High School Band. 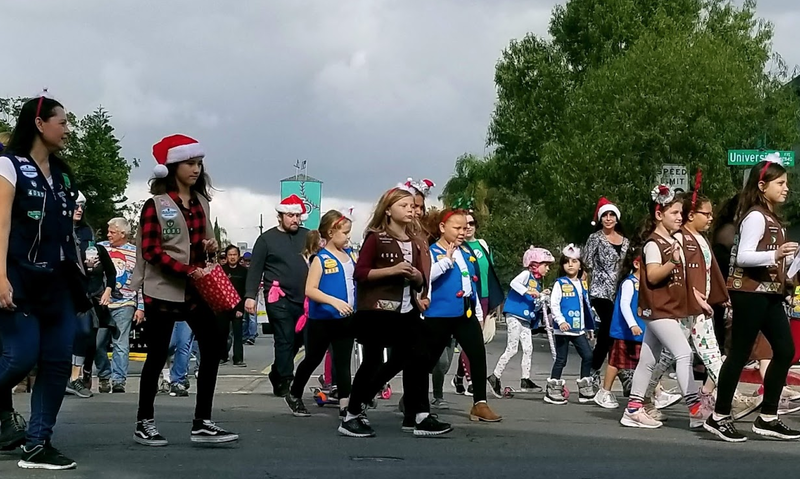 North Park’s Girl Scout Troop. 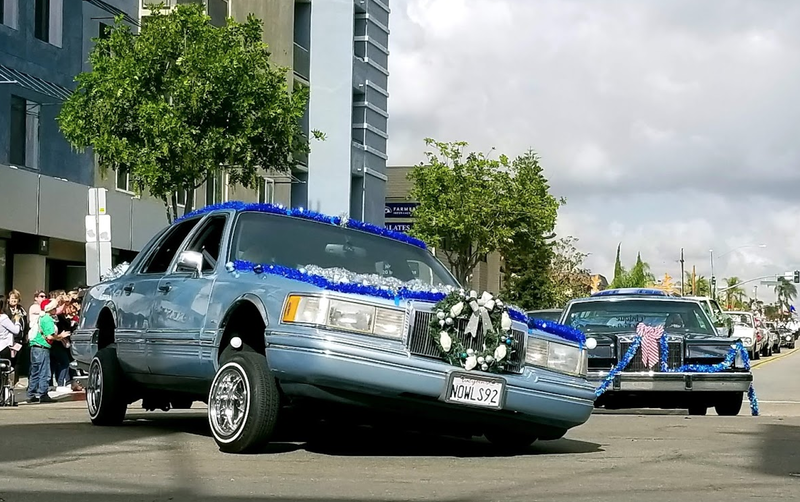 Vintage and low-rider clubs lined up. 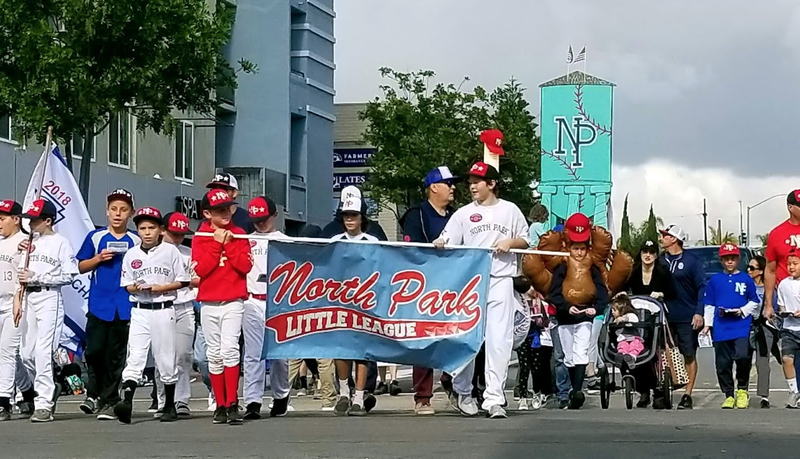 North Park Little League included the local water tower in its entry. 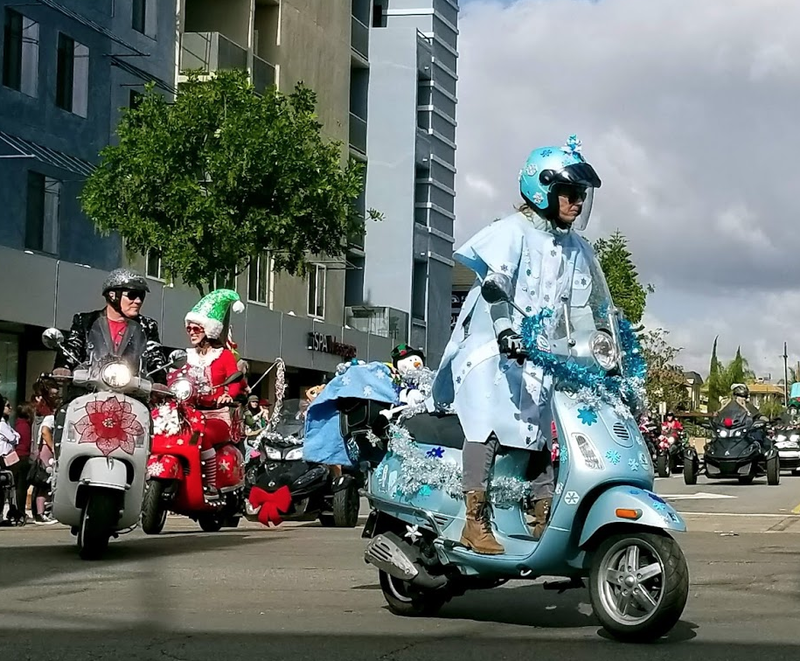 Out of this world Vespa Club. 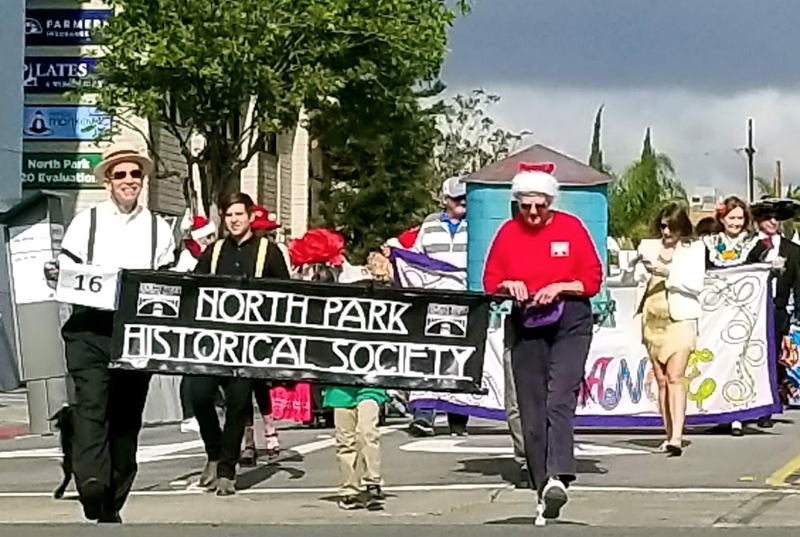 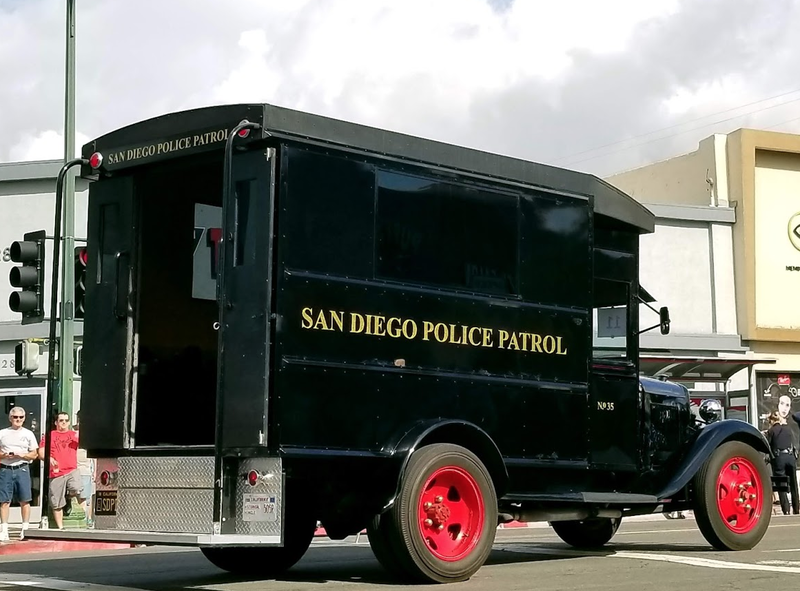 Celebrating being the oldest suburb in San Diego is what the North Park Historical Society does best. 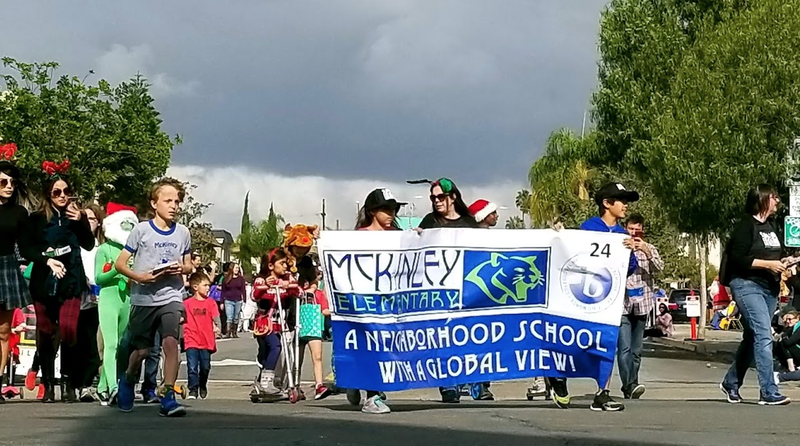 North Park school’s marched as always. 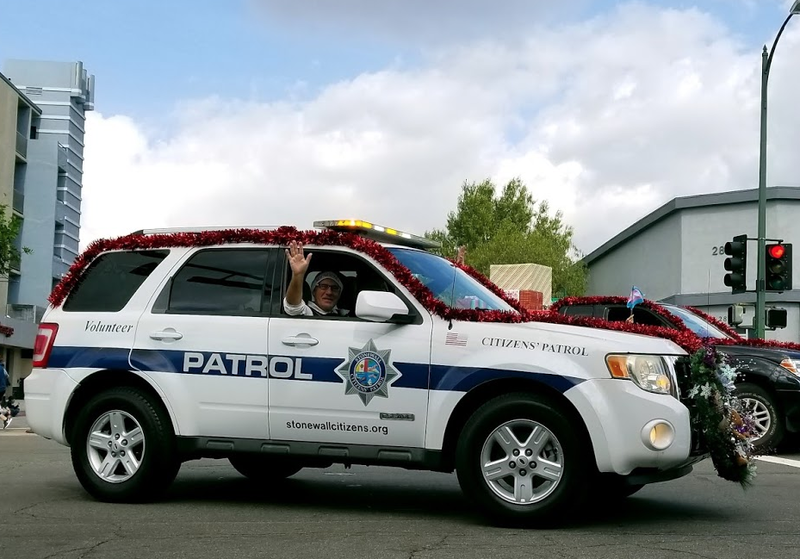 Citizens Patrol began in North Park/Hillcrest in the early 1990s.